You'll see a lot of docks along the shore line on Lake Simcoe. this on caught my eye. I like the blue water and sky offset by the adirondack chairs and the red boat cover. Great shot of this nice lake. 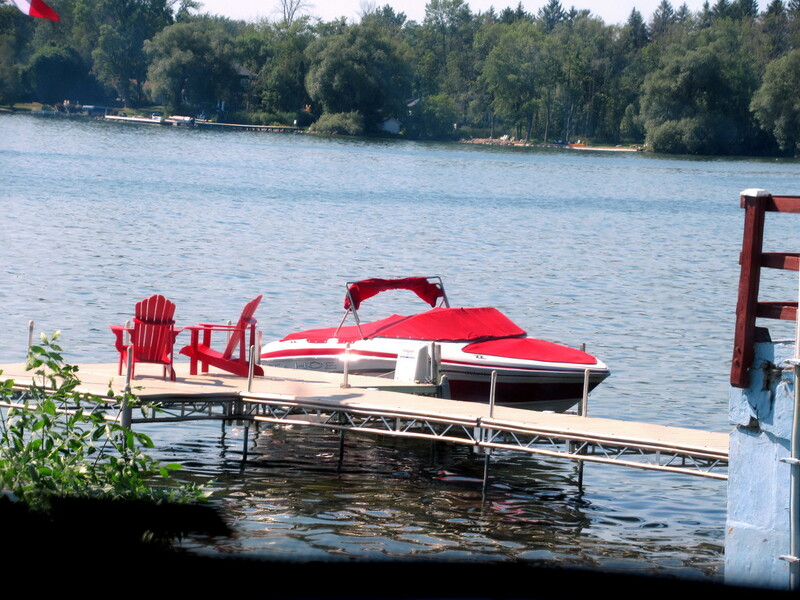 You have some beautiful lakes in Canada - over where you are, so many private houses on lakes with little piers of there own and chairs! Their colour scheme is just right! I think the owners really like red!